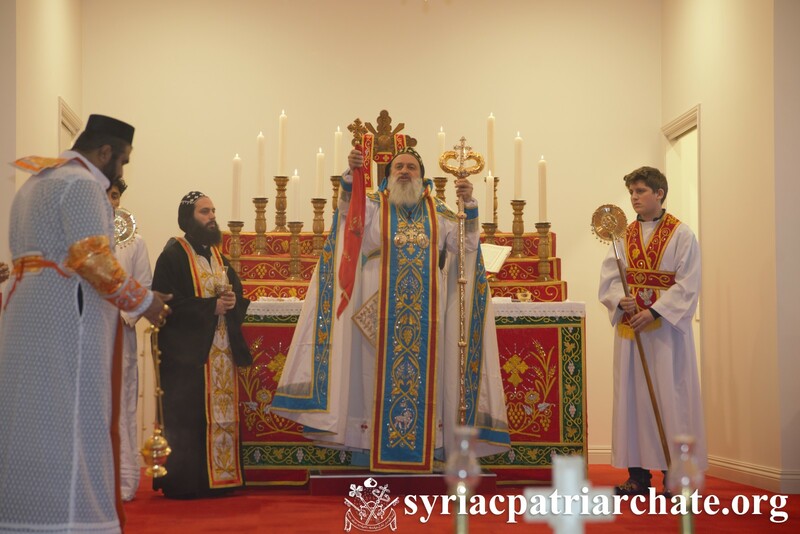 On June 30, 2018, His Holiness Patriarch Mor Ignatius Aphrem II celebrated the Holy Qurobo at St. Peter Church in Perth – Australia. His Holiness was assisted by their Eminences: Mor Malatius Malki Malki, Patriarchal Vicar in Australia and New Zealand, Mor Milithios Yuhanon, Metropolitan of Thumpamon Diocese and Patriarchal Vicar in Australia, New Zealand and Singapore. The Holy Qurobo was attended by His Beatitude Catholicos Mor Baselius Thomas I, and their Eminences: Mor Athanasios Geevarghese, Metropolitan of the Simhasana Churches in Southern Kerala and Abbot of Manjinikkara Dayro, Mor Theethose Yeldo, Archbishop of the Malankara Archdiocese in North America, Mor Iraneous Paulose, Metropolitan of Kozhikkod and Patriarchal Vicar in Oman, and Mor Timotheos Matthew, Patriarchal Secretary for Indian Affairs.